Home » Science Notes Posts » How Stuff Works » How Does Thermal Nail Polish Work? 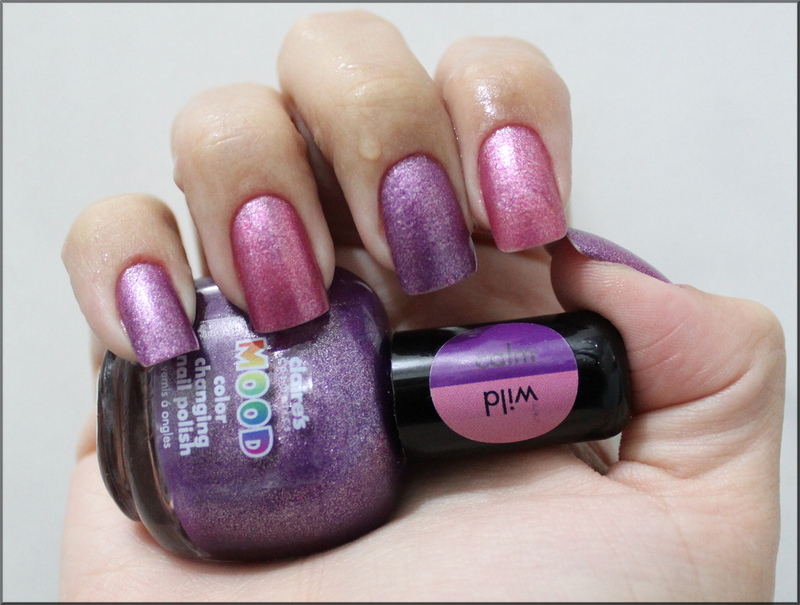 This thermal nail polish is sensitive enough for the nail tips to be different from the base. Thermal nail polish is a type of polish that changes colors according to temperature. It’s like wearing a mood ring on your nails, except most thermochromic polish only switches between two colors rather than displaying the whole rainbow. The cool (or hot!) effect involves a bit of chemistry. Here’s how thermal nail polish works and how you can make it yourself. Leuco dyes are used for more than nail polish. Indigo is a leuco dye used to color clothing. The pH indicators phenolphthalein, thymolphthalein, and crystal violet are also leuco dyes. The dyes are used for thermal printers, too. Leuco Dye: The dye changes color reversibly. The color depends on the particular dye. When it combines with a proton or hydrogen ion, it becomes colorless. Weak Acid: The acid can donate the hydrogen ion. Solvent: The solvent is where the magic happens. It allows the color change at a desired temperature. When it’s “cool” the solvent solidifies, so the hydrogen remains stuck to its acid and doesn’t react with the dye. The dye is colored. When it’s “hot” the solvent melts, the weak acid dissociates, the hydrogen ion binds to the dye, and the dye is colorless. The key to success is using the right leuco dye, which you can order online from sites such as matsui-color.com or colorchange.com or can pick up at a local craft store. Leuco dyes come in at least 15 colors and require a minimum temperature change of 5ºF (3ºC) to shift colors. The dye comes as a powder, slurry, epoxy, or water-based ink. You want the powder, which will consist of the microcapsules. Choose a dye with a transition temperature around 88ºF (31ºC), because your nails are cooler than body temperature. The choice of nail polish is important, too. If you choose a white polish, expect a pastel result. If you choose a pale colored polish, the final colors will switch between the original and the combination of the leuco and the color. So, mixing a pink polish with a blue leuco dye yields polish that shifts from pink to purple. Place 1-2 ball bearings in the empty bottle. Using the funnel, fill the empty polish bottle just over half full with the polish. Add leuco dye until you achieve the desired color (about 1/8 teaspoon). If you’re working in a warm place, you may need to chill the bottle to see the result. When mixing the polish, cap the bottle and gently roll it. Do not shake it because this introduces air bubbles. If the resulting polish is too thick, add a few drops of nail polish thinner (e.g., Seche Restore) or a bit of a clear top coat. Do not add acetone or other nail polisher remover because these chemicals will ruin the polish. If you like, you can add a bit of glitter or holo. Remember, if you used a clear base, the leuco dye will be clear when it’s warm (boring). Nail polish that changes color according to temperature isn’t created equal. Some brands only change color when you dip your nails in ice water or expose them to the heat of a blow dryer or hot shower. 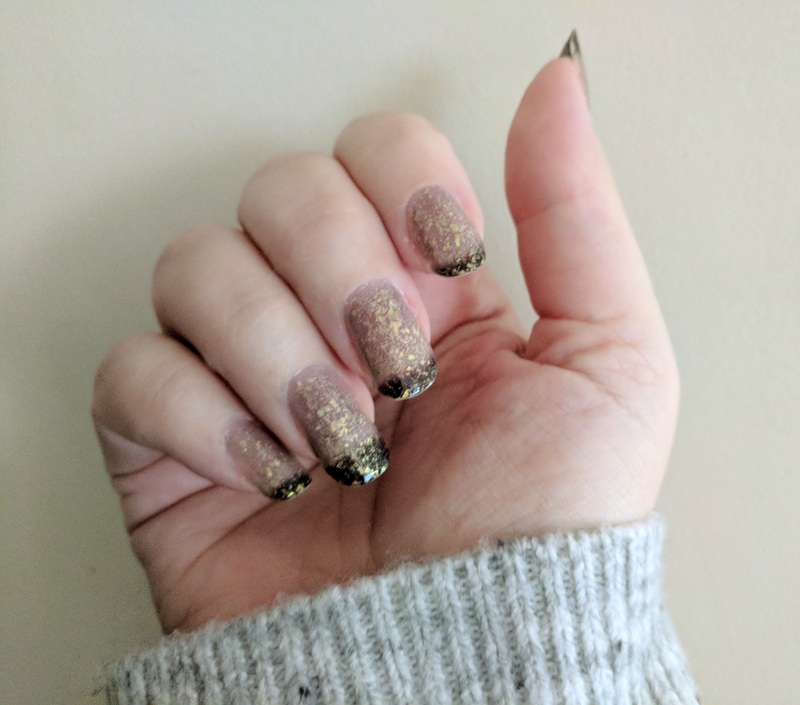 Other types are so sensitive the tips of your nails may be a different color from the base (like the Illimité polish I used from the photo purchased from LiveLovePolish). The best way to know how a polish performs is to read reviews before buying. Some of these polishes appear matte or dull. Apply a glossy top coat to add shine. It’s fine to use a top coat that offers UV protection. Also, you should know thermal polish has a shelf life. Under normal storage conditions, most manufacturers say you can expect the color change to work for six months to a year. This applies to certain other types of color-change polishes, such as solar polish. The shelf life of thermochromic and photochromic polishes is shortened by exposure to sunlight or ultraviolet light, exposure to high temperatures, and contact with some solvents. Maximize your thermal polish life by storing it in a cool, dark location. Muthyala, Ramaiah (1997) Chemistry and Applications of Leuco Dyes. Springer. ISBN 978-0306454592.